The announcement was made by the novel's publisher at the 69th foundation day of Rajkamal Prakashan Samuh held at the India Habitat Centre here recently. 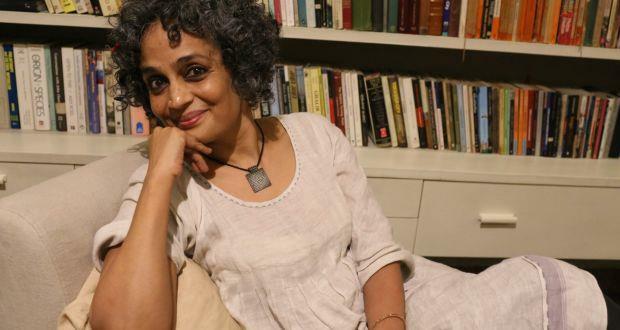 Praising the publisher for coming out with the translations of her novel in Hindi and Urdu simultaneously, Roy said considering the times "we are living in", it makes for a big statement. Recalling a conversation with her Kashmiri friend who told her that her work was closer to an Urdu novel than an English one, Roy said, "The challenge is to write a novel in a language when you know it is imagined in many languages, which is what I did with my novel 'Ministry of Utmost Happiness'. Speaking at a session titled 'Waqt ki Aahat', Roy, who is often seen taking a firm stand on issues across the spectrum, said she would argue about her essays, but will never defend what she writes in her novel. "The claim to truth cannot be made by the writer but must be felt by the reader. The whole thing to a novel is its fragility and openness to interpretation," said the acclaimed author. Roy said there are truths that only fiction can tell as everything is not evidential. In this context, she gave the example of Kashmir, saying "no human rights report" can give you the understanding of that place. "Large part of my book is set in Kashmir and nothing of that could be told in a human rights report because the understanding of what happens with people when the air is seeded with terror, whatever negotiations that are made, there are no easy moralities to draw. So to paint a picture, you have to have fiction," she said. Roy, for whom experimentation is key, said the idea behind writing 'The Ministry of Utmost Happiness' was to explore what a novel can do. Roy said she was clear that she did not want to write just another book. Because if that would have been the case, Roy said, she could have easily penned 'Sons of The God of Small things or The God of Small Things part 2'. The God of Small Things was Roy's first novel, which also won her the Booker prize in 1997. She came out with her second novel after a long hiatus of 20 years. "Ministry of (Utmost) Happiness is no baby food. It is not a book that you will consume in 10 minutes and rush for a judgement and tell everybody what it is about. "With this book, I am creating a universe and I'll walk you through it because I love you...you will get lost but you will find yourself," she said. Names of plants, animal, birds are lost in translation as some of them don't have a name in Hindi or Urdu, she said. "Arrey Gibbon langur nahi hai jaise Jaguar sher nahi hai (Gibbon is no langur, just as Jaguar is not a lion)," said Roy. "I am very particular about birds, plants, animals. But then we don't have their names in our languages. I don t know why the white folks have to came and name the plants, trees, birds and animals for us," she rued.